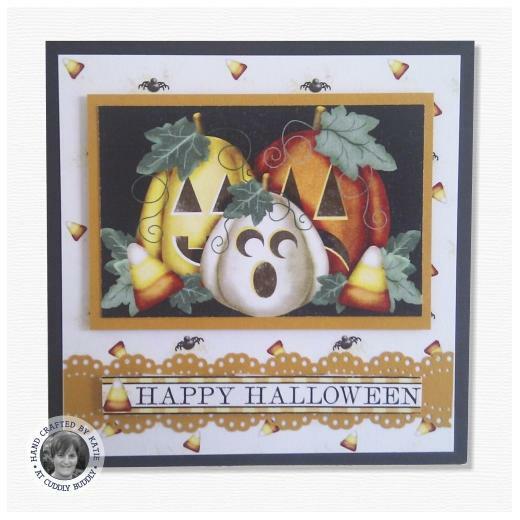 Sweet and Spooky combine in this Halloween designable set by Barbara Anne Williams. 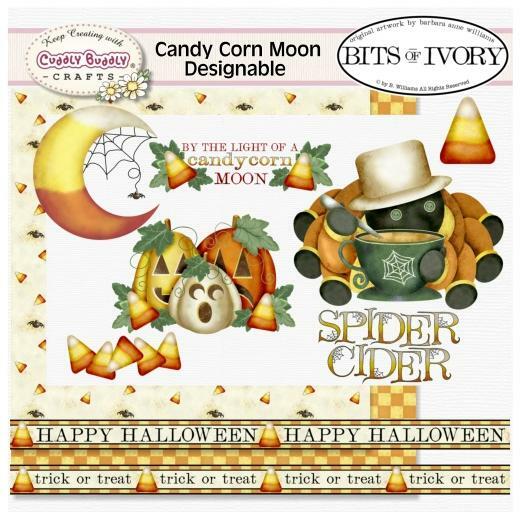 You'll find a trio of jack o'lanterns, a candy corn moon, a spider sipping his hot apple cider and a couple of candy corn treats in this fun collection. Two borders and two 8 x 8" backgrounds complete this set making it perfect for your candy wrapping, scrapbooking, and paper crafting projects.